Claudio Ranieri has called for unity within his Leicester squad following Wednesday’s crushing 5-0 Champions League defeat to Porto. 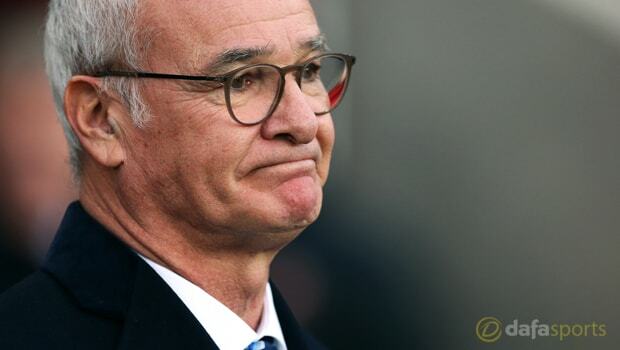 With the Foxes’ place as one of the top seeds in the last 16 already assured, Ranieri chose to field a second-string line-up at the Estadio do Dragao and it came back to haunt him as his team were brushed aside by Nuno Espirito Santo’s men. Speaking afterwards, the Italian bemoaned the inability of his fringe players to make the most of a rare chance to impress him but having now concluded their European exploits for the first part of the season, his squad can now focus on domestic matters. Leicester have struggled since winning the title last term and a run of just one win in their last nine Premier League outings has left them sat 16th in the table. Saturday sees them welcome Manchester City, a clash the Foxes are 4.50 to win, with the draw 3.80 and the Citizens priced as the 1.75 favourites. Ranieri now faces the challenge of injecting some fresh confidence into his team following what has been a largely torrid few months. The Italian admits he was sad to see his fringe players fail to do themselves justice on Wednesday but says the whole of his squad needs to stick together to ensure they do not get dragged further into the relegation quagmire.